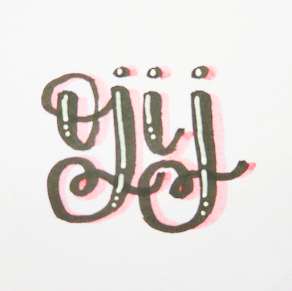 Whoa--I've been doing calligraphy for almost exactly two years now! It's honestly crazy to think that it's already been that long, though I guess two years isn't really that long in the grand scheme of things, but it's especially amazing (and possibly inspiring?) to see how much it's changed--for the better, I'd like to think. There are things I made in the past that I thought were amazing that looking back at them now, I can see that they were simply mediocre or just straight up bad. Through my own experience, I'm going to be giving some suggestions on ways to improve your own calligraphy and hand-lettering. Read on! Really, just write anything. Additionally, when you're practicing, try to be conscientious of what you're doing. If you're just messing around, your practice is not necessarily going to actually help; whenever you do practice, make sure that you're being aware of each brushstroke and actually trying your best. One way to actively improve your calligraphy is to make sure that you're slowing down. This goes along with being conscientious; if you're doing calligraphy really quickly (especially with things like large brush markers or paintbrushes), then you lose the deliberateness and control necessary to improve and perform the best that you can. 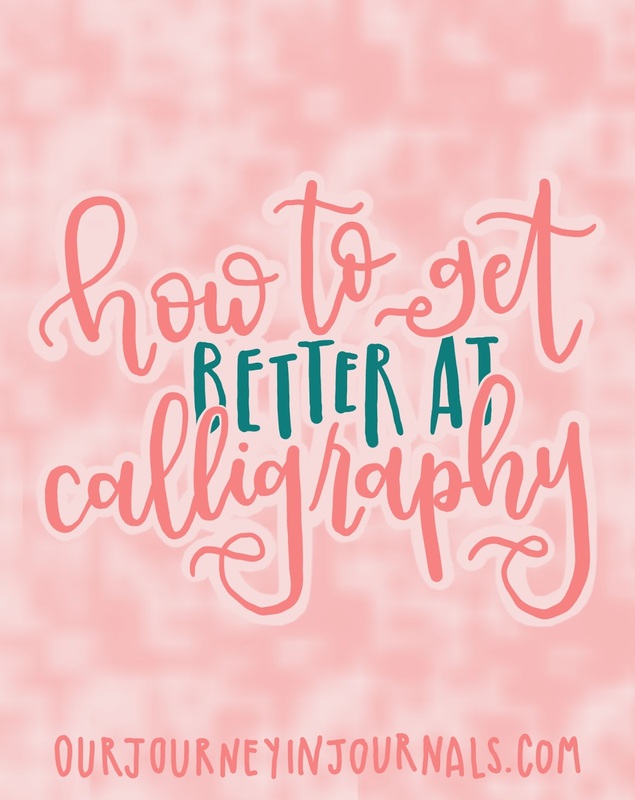 Especially when you're first learning and still a little confused by everything, watching videos of other people hand-lettering can be really helpful. Particularly with videos from the side, you can see their pen grip, pen angle, speed, how much pressure they're using, etc. Personally for me when it comes to hand-lettering, I think composition is one of the most difficult aspects of the art. One way to really hone in on this is to practice using pencil. When you use brush marker or pointed pen or whatever when making layouts, a large part of your focus is on the techniques of the particular medium. However, when using pencil, you can hone in on the composition itself. Something that has really helped me--and is still helping me now--is to study other people's work. When looking at the hand-lettering of others, find the specific things you like about their style or that particular piece. Do you like the manner in which they flourished the Y? Do you like the shadows on the capital letters? Do you like how the last word is placed? Find those specific things, and then implement them into your own calligraphy. In the beginning, that's how I started to solidify my own style and go-to alphabet. Now, I especially do this to find inspiration in new lettering styles and interesting composition--again, probably my biggest weakness when it comes to calligraphy. Since I'm on Instagram a lot, I use the "save" function to collate particular pieces that I find inspiring to look at later. I hope you found these short tips to be helpful. One last word of advice: though you may be discouraged in the beginning, I promise that your calligraphy will improve. After all, everyone started from somewhere; it just takes time! I believe in you! How long have you been doing calligraphy for? Let me know in the comments down below! I find it impossible to learn :( even something as simple as holding the pen the "correct way" or at an angle... I struggle so hard �� I want to learn this more than ANYTHING.